We welcome visitors. See educated teachers, well-equipped classrooms, and children learning through play and discovery! 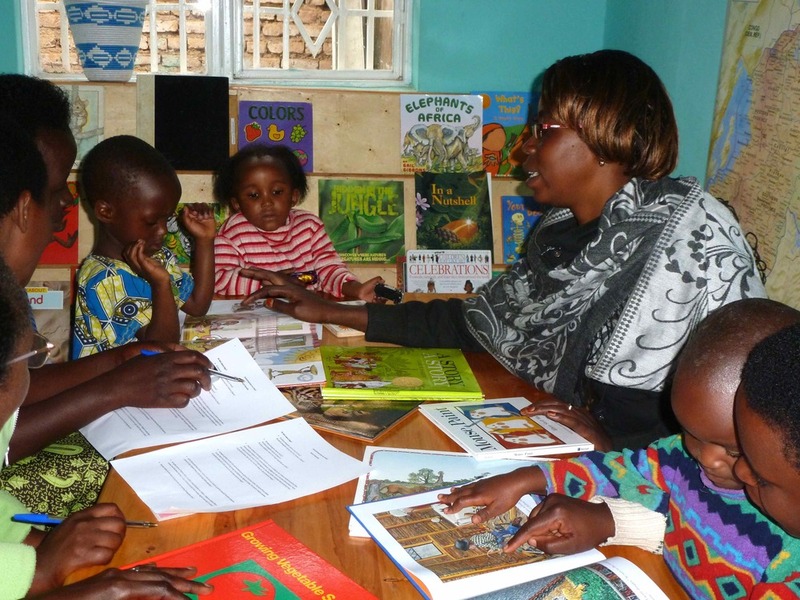 Louise often can be found with several children and other teachers in the Bright School library. Early literacy—reading, writing, speaking—are key aspects of the curriculum. Bernadette played the Grandmother in a Seminar 1 reenactment of the book Pretty Salma. She is writing the shopping list for her granddaughter to go to the market. Children also delight in recreating the action in this story. Literacy comes alive for actors and audience alike! Our first TEACH Rwanda model school is located in Gitarama, Muhanga, South Province, Rwanda. Louise Batamuriza, a Rwandan teacher who studied international best practices in early childhood education in the United States in November 2011, established Bright School in January 2012. The school now has two classrooms and four teachers, serving 80 children, ages 3 to 6, in morning and afternoon programs. These classrooms were equipped by, and salaries are paid through, generous donations to TEACH Rwanda. 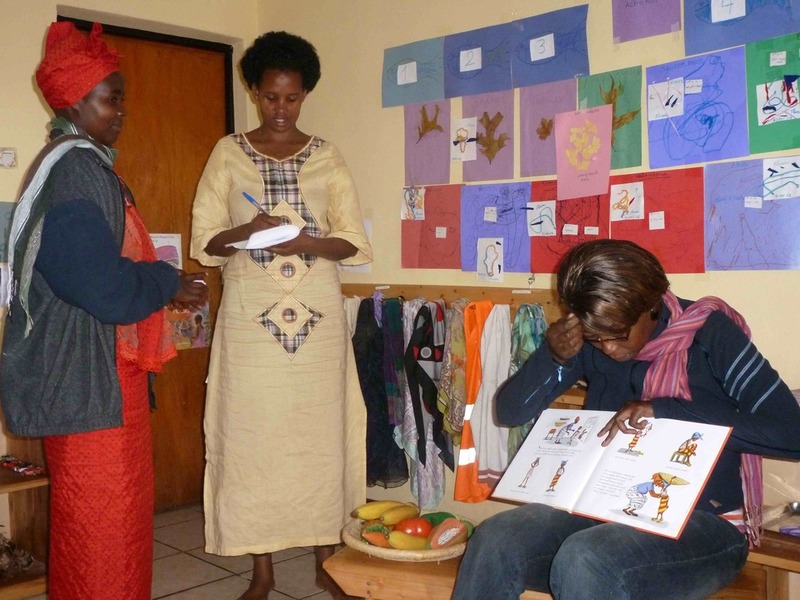 Just as Louise had the opportunity to come to the U.S. to enhance her professional development, TEACH Rwanda hopes to provide resources for more teachers to study best educational practices in Rwanda. Those who show exceptional talent will be encouraged to come to the U.S. for further university studies and observation experiences in early childhood education. TEACH Rwanda expects to form partnerships with colleges and universities in the US and Rwanda that are interested is sharing their knowledge about best practices with teachers.